Save the date for a hurricane of New Orleans-styled entertainment with Michael Kaeshammer. 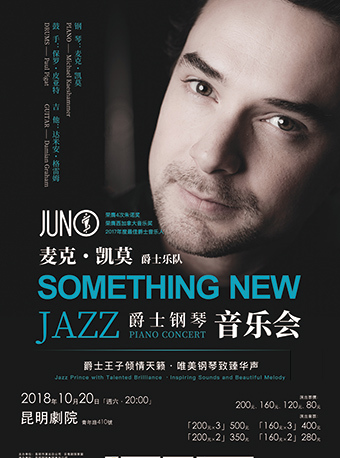 A stellar pianist, vocalist, composer, arranger, and producer, German-born Kaeshammer blends jazz, boogie-woogie, and classical arrangements at breakneck speeds into breathtaking concoctions. Michael’s legendary charm and performance prowess have gained him a loyal international following. Based on Vancouver Island, the bright star has won two Juno awards out of seven nominations and WCMA’s Musician of the Year and Entertainer of the Year.